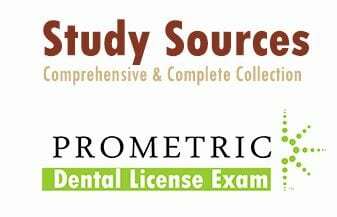 In this article, we list the most comprehensive and complete sources to study for the Prometric dental exam based on the each GCC Dental license exam criteria. Oral Biology: Ten Cate’s Oral Histology: Development, Structure and function, 8th ed. Prosthodontics: Fixed Prosthodontics Contemporary Fixed Prosthodontics, 4th ed. By Stephen Rosenstiel. Prosthodontics: Complete Denture: Textbook of Complete Dentures, 6th By Arthur Rahn. Dental Public Health: Dentistry, Dental Practice, and the community. 6th Ed 2005 by Burt AB Company. Bioethics, professionalism, behavioral science: Professionalism and Ethics Handbook for Residents Practical guide By Dr. Abdulaziz Fahad Al-Kaabba. Dental Decks II, Click Here. Past Prometric Dental Exams, Click here. Imporntant Notice: The exams aren’t based on theses completely and some questions might be outside these sources. Again these are the listed by the approiate health authroty for each GCC country. Good Luck.